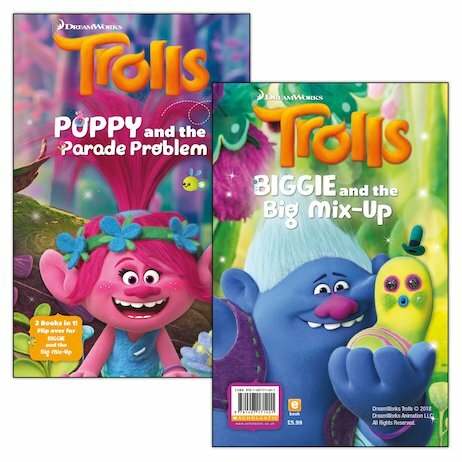 Two heartwarming Trolls stories in one bumper flip book! Big fun, big laughs – and big hair, of course! In Poppy and the Parade Problem, Poppy wants to host a birthday parade for King Peppy. Two of her friends have fantastic ideas, but how should she choose between them? Next up, Biggie thinks all his friends want him to change, so he tries out a bunch of new hobbies. But when all the change proves a bit too much, he finds out that his friends love him just as he is!